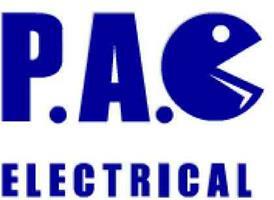 P.A.C Electrical - Electrician based in Poole, Dorset. P.A.C. Electrical is a family run business that has been trading since 2006. We have many satisfied customers who have in turn recommended us to others. We offer high quality workmanship with a reliable and friendly service. All works carried out are tested and certified and where appropriate registered with Part P building regulations. We are fully insured and comply with BS7671, 17th edition. Whatever your electrical needs call us today for a free no obligation competitive quotation.